And Vanity Fair is reaping the rewards as well. 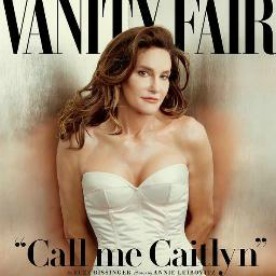 Caitlyn Jenner broke the internet with her new Vanity Fair cover and her new Twitter handle. According to the folks at Guinness, it took a mere four hours and three minutes for Caitlyn (no K) to reach that milestone, a rate that was faster even than President Obama. He took 4 1/2 hours. So far, Caitlyn has only posted two tweets, but that’s all it took for today’s big and fabulous reveal. According to USA Today, she generated 1.5 million tweets in fewer than five hours, including shout outs from celebs like Lady Gaga and ordinary folk far and wide. The support was there and the positive response was actually really lovely and refreshing to see. And if you haven’t seen the pics, where have you been? Annie Leibovitz did a fantastic job. Caitlyn looks like a million bucks. Jenner’s cover is a massive coup for Vanity Fair, whose lackluster newsstand sales (which fell 20 percent in the second half of 2014, per the Alliance for Audited Media) are sure to get a major boost when the issue comes out June 9. Subscription sales are likely to benefit, too, with the magazine offering early access to the cover feature with the purchase of a digital subscription. We already have a subscription, so you know what we’ll be reading on the beach next month.